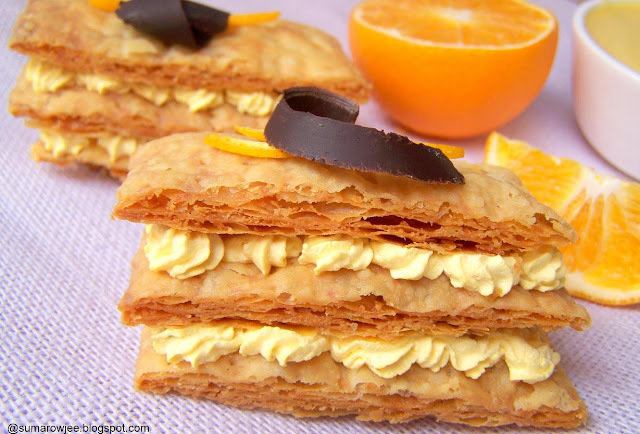 Cakes & More: Mille-feuille With Whipped Orange Curd - I Join The Daring Bakers! Welcome to Daring Bakers Suma...what a beautiful first challenge. Gorgeous pictures too. love the way you piped the cream. LOVELY!! 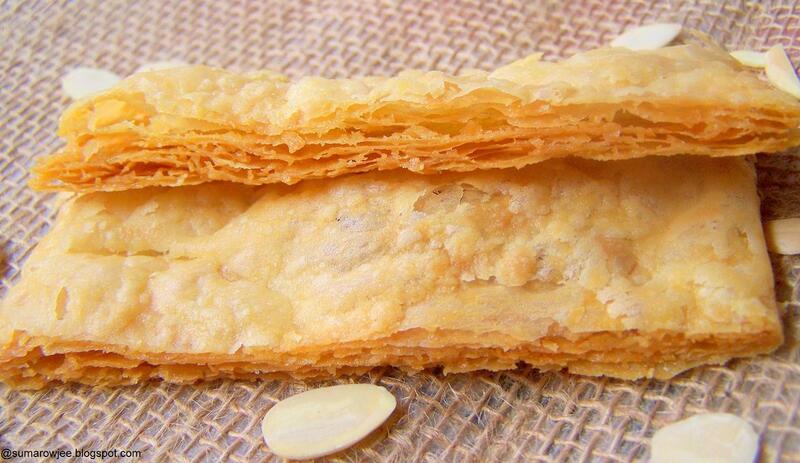 @Anusha - I have used home-made rough puff pastry here. You could try Godrej Nature's basket for ready frozen puff pastry? Congrats Suma, personally i felt like saying that you must have joined them earlier yaar, better not too late:).. Marvelous....... Congrats on joining Daring Bakers group. Welcome!!! Hope you enjoy every month with us. Great work on your first challenge!!! congrats on finally joining the Daring Bakers...I am yet to find my calling....your napoleon looks so inviting. and there is sometjing about oranges...i love them...great clicks..
Hey your pastry is looking so attractive.. I think it should be so delicious as like it seen.